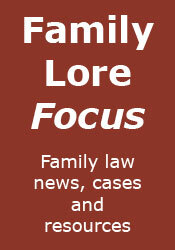 The debate over transparency in family courts continues. On the 22nd March the Department for Constitutional Affairs published a summary of the responses to its consultation paper 'Confidence and confidentiality: Improving transparency and privacy in family courts'. It seems that the responses were not all that those seeking reform, such as fathers' groups, were hoping for. Over the course of the consultation well over 200 children gave their views, some of whom had been involved in care proceedings. Overwhelmingly they rejected the idea – with the clear support of key third-party organisations speaking up for the interests of children. They are clear – crystal clear – that they do not want the family court filled with people who have no involvement in proceedings. They do not want people in the court hearing private details of their lives. They are worried about themselves or their families being identified by people whom they do not trust to report responsibly. We need to ensure that people know more about what goes on in the court room; for example, the reasons conclusions are reached by the court. We also need to be clear that families and children know what they rightly regard as private information, rightly remains private. That may well involve allowing the press or the public in only where the judge expressly agrees as an exception. I can't say I'm sorry. As I've mentioned before, I've always had concerns about opening up the family courts, particularly because of the effect upon the most important people involved - the children themselves. Today I received Resolution's new Code of Practice. The image here, though not readable, shows the entire Code - much shorter than the six-page pamphlet of the previous Code. In their words, Resolution has "revamped the Code to produce a more public facing document which explains our ethos in a short, punchy and effective way". They believe that the revised Code will be "easier to understand, abide by and enforce". Let's hope it encourages all family lawyers, whether Resolution members or not, to resolve family law disputes in a constructive, non-confrontational way. I know the author of said letter couldn't possibly be talking about me. I'm still shopping at Primark and wearing the same shoes I was 2 years ago. Unfortunately the public won't realise just exactly what they're losing until it's gone. When they find it impossible to find a Legal Aid lawyer to save their lives they'll change their tune. Of course then it's too late. Our legal aid system is the most generous in the world. The best-paid legal aid lawyers make around £1m. How many nurses, teachers or doctors earn that? Missing the point, of course, but it seems that we still have a long way to go before we get the general public on our side. Under the heading "CSA flexes its muscles" Family Law Week reports upon how the CSA claims to be using it's powers to help "the Government to get tougher on parents who avoid their financial responsibilities to their children". For details, see this page on the CSA web site. All very impressive, but cold comfort to all the parents still waiting for payment. Happily, Charon QC has risen miraculously from the dead and is back on form this week, including not one but two podcasts. Lastly, Nearly Legal reminds us "that the struggle between the rule of law and rule by decree is sometimes literally that", referring to recent events in Pakistan. Let's hope we never have to find out whether us English lawyers would do the same in a similar situation. The Work and Pensions Committee today published it's report on the proposed reforms to child support. Whilst the Committee welcomes the Government's "attempts to reform the system" and recognises "the boldness of the proposals to seek a new solution with a move towards private agreements and away from administratively imposed arrangements", it also expresses concerns "that at this stage in the policy redesign there is insufficient detail for proper scrutiny over how the new system will work". "In addition", it says, "there appear to be a number of inherent tensions and contradictions within the White Paper between the principles and the practicalities of reform". In our opinion, it seems that if the Government is intent on moving clients towards private agreements and away from using C-MEC then its decision not to explore the use of the courts is inconsistent. The Committee recommends that the Government reconsider the decision not to allow courts to make a maintenance order unless both parties consent. This seems to be eminently sensible. Not only will it enable the courts to deal with all issues together, it should significantly reduce the burden on C-MEC. It is with great regret that I must report the passing of Charon QC. His death was announced last night by Charon himself on his blog. The blawging community will never be the same again. [pedantic mode on] If there's one thing that really irritates me it's people calling a Register Office a Registry Office. It's amazing how often this mistake is made, and even more amazing how many educated people make it. I've heard the mistake made by BBC presenters (who should know better) and by family lawyers (who definitely should know better). I've even seen it in divorce petitions prepared by solicitors and allowed through by the court. The place where the register of births, marriages and deaths is kept (and where marriages take place) is called the 'Register Office', not the 'Registry Office'. Since starting this blog I've noticed the extreme antipathy that many people involved in children disputes have for the legal profession, particularly fathers seeking contact/residence orders. The vitriol with which they express this antipathy can often border upon abuse. Now I can understand why such people have strong feelings, and that some of them may have had bad experiences with their legal advisors. However, to blame the legal profession for the shortcomings of an imperfect system is rather like blaming the messenger for the message. Contrary to popular belief we are not responsible for the system, and we can often find it almost as frustrating as our clients - after all, none of us want unhappy clients. Just been catching up on the latest at the excellent BabyBarista. Good job too - I'm in Maidstone County Court myself next Tuesday. Must remember to switch my mobile off, and if I forget and it rings, to say nothing and look at someone else (hopefully checking to see if it was their mobile), whilst furtively switching off my own mobile. Gives a whole new meaning to the term 'cellphone'. I had the pleasure of meeting David Hodson yesterday. He was giving a seminar for the Kent Law Society on the subject of ancillary relief, dealing particularly with recent case law. He concluded the seminar with a point that I've made here before: "Too often, the case law from the higher courts acts to highlight the micro aspects of the law's development and changes including those needs of a small band of litigants who can afford the privilege, yet the big issues affecting the vast majority of practitioners and average clients and cases seems to go unnoticed or given low priority". Is it right that almost all of the guidance we get upon how to apply the law in a discretionary-based system comes from judges sitting in big-money cases that bear no relation to the vast majority of cases we deal with? For example, in most cases involving parties of 'average' means, the primary issue is their needs - how are these to be met from the limited assets available? In big-money cases needs is not, of course, an issue - there are ample assets available to fund even the most frivolous lifestyle. Guidance should come from parliament, but Hodson seriously doubts that there is the political will for reform, and I have to agree. One thing seems certain: unless there is clear guidance from somewhere, we will be left in the position of having to advise many of our clients that the law is "a bit of a lottery", as stated by Hodson, referring to the views given by James Turner QC. A thoroughly unsatisfactory state of affairs. It seems that my post 'Solicitors blamed again' may have ruffled a few (kiwi) feathers. I'm not sure if Mr Sharp's post is meant to be tongue in cheek, but if not I really don't know why mediation should be considered a panacea for all disputes. As I said in my post, that has certainly not been the experience of my clients. Last night I watched a repeat of the BBC programme Who Do You Think You Are?, featuring Jeremy Paxman. For those who don't know, this is a series of programmes featuring a celebrity tracing his or her family tree. What surprised me about this particular programme was that Paxman, usually so self assured, was visibly upset by the struggles of his ancestors against poverty and disease. As he said. what his ancestors went through was no different from what hundreds of thousands of others went through in the nineteenth and early twentieth centuries. The difference, of course, is that he has a connection with these particular people. I suppose the point is that if it wasn't for their struggles through adversity, we wouldn't be here at all. A few years ago I investigated my paternal family tree, and published a small web site (note that the menu on the site doesn't work too well now, due to changes in web browsers), showing the results. As far as I can tell, my ancestors came from a similar 'working class' background to Paxman's ancestors. I'll never know much about most of these people, not even what they looked like, but I do know that I owe a debt to them that I can never repay. On Friday I attended a Kent Resolution seminar on child law. The speakers were Sara Staite and Ashley Thain, of the family law team at 1 King's Bench Walk. One of the topics was the recent movement towards the making of shared residence orders, something that I have mentioned here previously. The former position was that such orders would only be practicable if there was a high level of cooperation between the parents. Now it is clear from the case law that such cooperation is not a prerequisite of a shared residence order (on the contrary, a harmonious relationship between the parents makes it more likely that the court will consider that no order is required). Further, it appears that where the children spend approximately 50% of their time with each parent, good reasons are now required if a shared residence order is not to be made. Now, I'm not for one moment going to say that this move towards shared orders is a bad thing, but both the case law and my own experiences with my clients does give me one concern about shared residence: parents, particularly fathers, are prepared to go to great lengths to obtain such orders, including fully contested applications, when the practical effect of the order will not necessarily make an awful lot of difference to the children concerned. Are such parents more concerned at achieving equality with the other parent than achieving the best for their children? The National Audit Office today reports that "too many family breakdown cases are going to court rather than being settled through mediation". I've not yet read the full report, but it seems the NAO is firmly blaming solicitors: "although solicitors and legal advisers have a duty to advise their clients of the option of mediation, a survey of clients indicates this isn’t always happening". It goes on to say: "there may be a financial disincentive to solicitors of advising people about mediation: if a case is settled out of court, this will result in a loss of potential fees for them . The NAO recommends that those solicitors who have significantly lower numbers of cases which go to mediation should be investigated to find the reasons for the low take up and, where these reasons prove unsatisfactory, should have their [legal aid] contracts curtailed". Well, I can only speak from my own experience. I certainly do discharge my duty to advise clients of the option of mediation. However, I find that the vast majority of my clients don't want mediation, or can't afford it (mediation is not free for those ineligible for legal aid), and most of those who do try it find it unsuccessful in settling the matter - so mediation often simply results in delay and wasted expense. Don't get me wrong, I'm not saying mediation is a bad thing - it's just not the panacea many people (and government) seem to think it is. And I'm certainly unhappy that solicitors are once again getting the blame for failure. Incidentally, perhaps I'm being pedantic but I was amused by a mention of this report on the BBC this morning. The presenter said that "couples who divorce should resolve their differences without going to court". Quite how they get their divorce without involving a court, I don't know.